Planned communities have had a long and somewhat mixed history. From the Familistere in Guise, France, designed to house factory workers, to the Disney-fied Main Street of Celebration, Florida, they differ from cohousing projects and intentional communities in a major way: they’re generally created from the top-down, by developers and business owners, rather than by residents. Still, the additional capital invested in them can allow them to push the envelop when it comes to technology and sustainability, even if it does come with a steeper price tag. 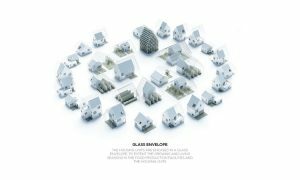 One new project, the ReGen Village, will bring a self-sustaining off-grid community to the Netherlands, with houses encased in “glass envelopes” to protect them from the elements. The village will include aquaponics, livestock, greywater systems, and vertical farms. The project will be funded by investors who want to divest their money from the fossil fuel industry. Its designers hope that by creating prototypes in cold (and wealthy) countries first – including Norway, Sweden, and Denmark – they’ll be able to bring a similar model to developing regions, such as India and Africa. 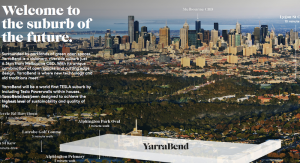 But the suburb also promises to have bike-focused, curbless streets and electric car charging stations, giving it a 6-star rating as an “ecologically sustainable development (ESD)”. It may be out of my price range, but it will be exciting to see if projects like this can lead the way toward more affordable, sustainable eco-communities. seriously 1.5 to 2 million for each home you have got to be joking, thats even worse, i thought 10 times the average wage was bad enough not 20 times lol,.,,,, i guess someone hasent worked out the housing bubble yet thats not sustainable….and going to collapse of biblical proportion. i like the thought of this but only in Australia and maybe NZ would they try to charge this unrealistic price…..who seriously wants to be in debt to the banks for like 60 years……”fractional reserve lending” lol ..not meeeee…….